When is Personal Care needed by a client? Personal Care requires a minimum of 4 hours up to round-the-clock care with 24 hour assistance (Live-In Care). 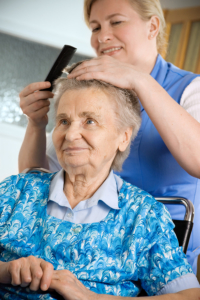 Assured Health Home Care, Inc. can easily arrange for personal care at visiting schedules of your choosing. For a personalized care plan, call us at 703-221-4854. Assured Health Home Care, Inc. is ready to assist you in any way possible to make your live at home more comfortable and stress-free.